The Gold Coast is an area that contains small amounts of real gold amid its often-tarnished reputation. Driving along the highway, there is not a lot to enthrall me. It is a very generic highway and could easily be anywhere. As with most things in life, it is not until you get off the main drag that you begin to see what is behind the seemingly endless roads. Ten minutes north of the NSW border, entering the road behind the Currumbin Wildlife Sanctuary there is a beach with a bustling village offering restaurants, a surf club and several eclectic boutiques. It is here that I have discovered real gold. The village stretches between two rocky outcrops joined by pure white sands. To the north there is the famous surf break – The Alley just out from the entrance to Currumbin Creek. To the south is Elephant Rock which is now symbolic of one of Australia’s most moving Anzac Day Dawn Services. The Vikings Surf Club has its foundations on the rocks and its restaurant has one of the best decks on the Gold Coast. The views are eternity to the east, the skyscrapers of the Gold Coast to the north and the white beaches arching around to Greenmount in the south. It is an easy walk along the esplanade to the shops, strolling past home wares, cafes, and a general store with a fantastic range of hats. The streets are a mix of well to do business types, bohemian surfer girls and yummy mummies with strollers taking their daily coffee break and exercise. It is not uncommon to see local surf legends roaming around the area. A small shop full of white macrame, dreamcatchers and swimwear beckons a look. This is the reason for my visit. Inside sits a tall, slender, well-dressed woman with a huge welcoming smile and a pure joy for the treasures of her store. Annake Swimwear is a family business. Mick has converted the van into a mobile shop and change room, Shari and Cassie model, inspire and argue over designs and Jenny (sister) provides the beautiful dream catchers that decorate the shop. 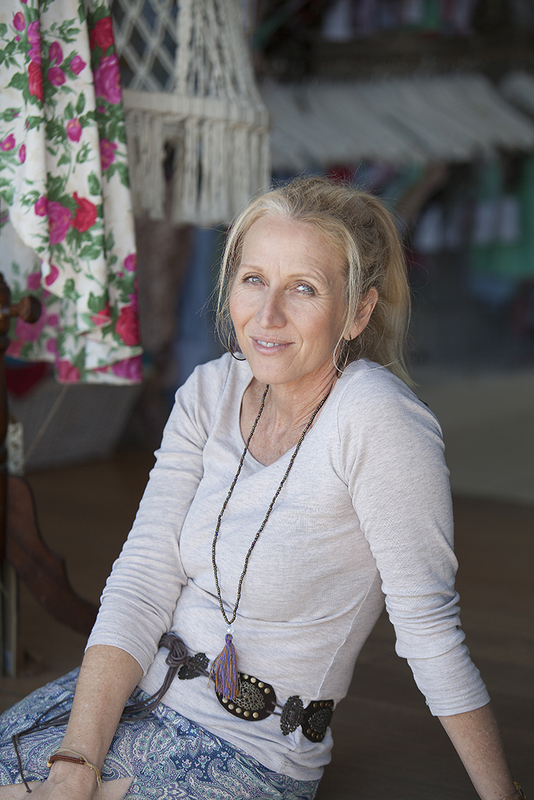 Along with the close family connections Anna provides an outlet for local artists.This is a wonderful space to support other artisans in the area and highlight their wares. This includes porcelain dishes, handmade jewellery and photography. The unique patterns used in the fabrics are created by Anna and a local artist. Local photographers, including Greyrose Photographics broaden their portfolios with fashion shoots. On any given day, you can meet and talk to those behind the Annake story. You will be welcomed into the space and everyone will share a piece of their journey with you. The interview with Anna naturally turned to festivals and music. Favourite Festival OMG, are you serious – Bluesfest – without a doubt followed (by a high 5). Favourite Musician I have two, luckily they are married – Elvis Costello and Diana Krall. They did a TV show a few years ago and it had some great interviews and duets. The show was ‘Spectacle’ and here is a clip with Elton John. Best festival moment A few years ago I was so busy and Elvis Costello was at Bluesfest. I couldn’t go on the day he was playing. 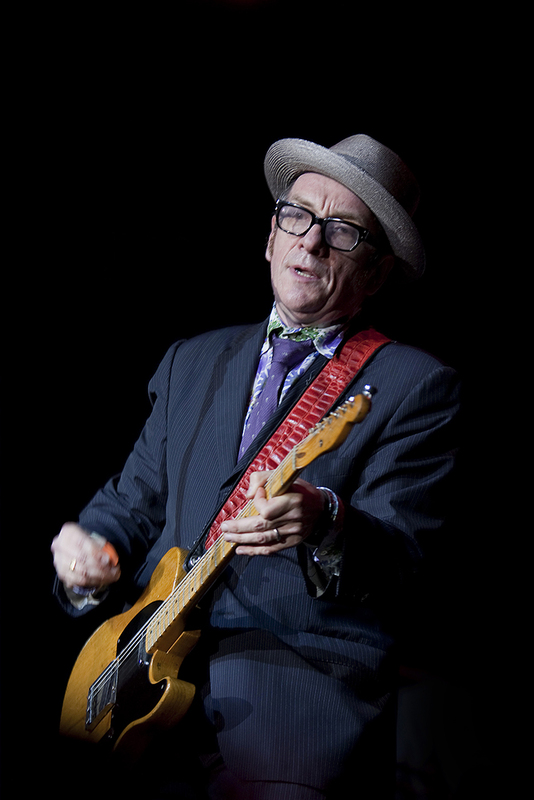 Imagine how excited I was when we walked past Crossroads and Corine asked who was that bloke singing – turned out that Elvis Costello had joined another artist on stage. I was so excited I can’t even remember who the other artist was! I went home a happy girl. There are other memories but I don’t want to give away too many secrets. Thank you for the introduction to this song it is beautiful. Song that would be a soundtrack to my life I would have to go for Carole King – Tapesty. Previous When is it a party? Reblogged this on Festival,Fiesta, Carnivale.